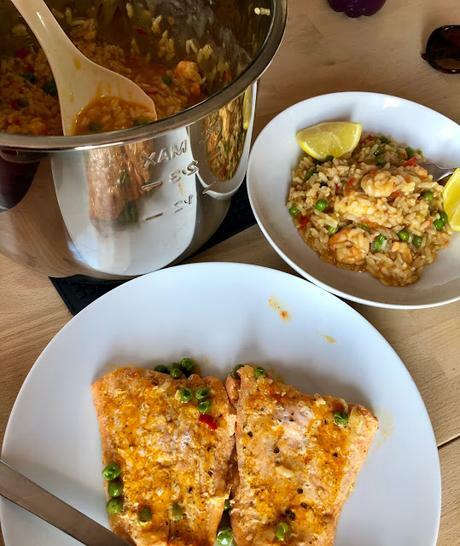 This Instant Pot Prawn, Trout and Pea Risotto is such a delicious dish. I found the Trout fillets in the reduced aisle at Tesco and just had to make something special with them. 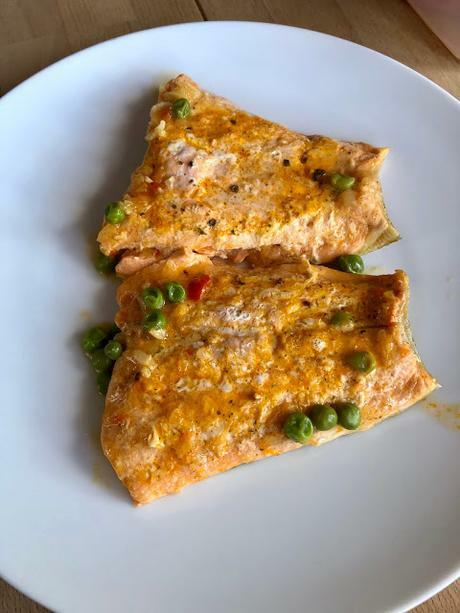 I usually make a Prawn and Pea Risotto but the trout was a wonderful addition. 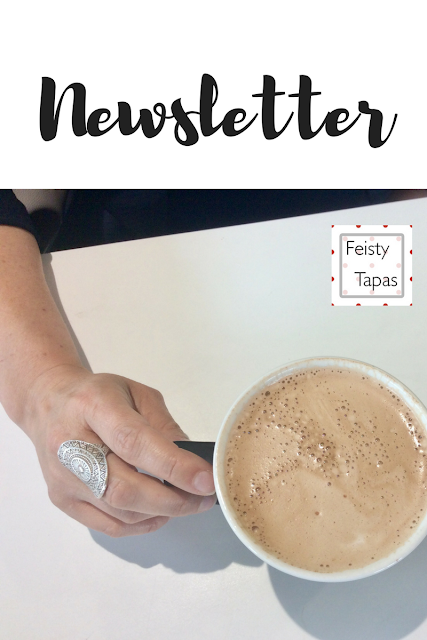 You don't need to add it as it is a bit of a treat and adds to the cost of the dish but it works great! 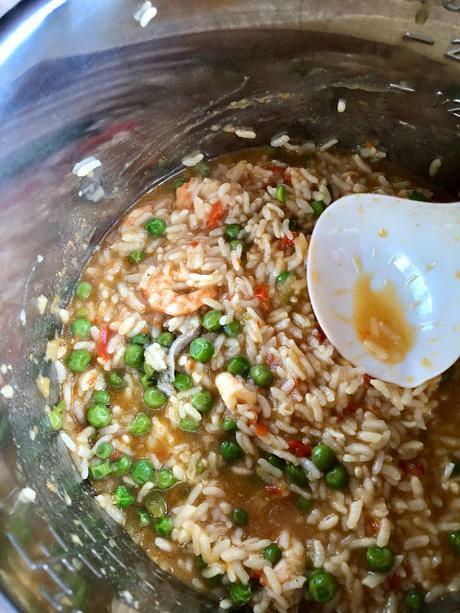 Don't worry, I'll post the Prawn and Pea Risotto recipe too. I make it for the little Tapita pretty much every week at the moment, she requests it! Although sometimes she does ask for Mushroom Risotto which is also delicious. This is a delicious and indulgent yet comforting dish pressure cooked in next to no time. No stirring, no hanging around the hob, go put your feet up. Note for Thermomix owners: Make your life easier by chopping the onions and garlic 5 seconds at speed 5, add the red pepper and chop 2 seconds at speed 5 then decant into your Instant Pot. 2. Sauté the chopped onion, garlic and red pepper in extra virgin olive oil. I place the glass lid on top and let it sauté for 8-10 minutes. Stirring once in a while. 2. Add a bit of wine if you have some or a bit of stock and deglaze really well scraping the bottom with a wooden spoon to make sure you remove all burnt-on bits (don't forget those Golden Rules!). Add the rice and stir, wait for it to go translucent and back to opaque and then stir in the stock (or just stir for a minute or two basically). Deglaze again. 3. Stir in the frozen prawns, frozen peas and paprika. Place the trout fillets on top. 4. Lock the lid in. Steam release handle pointing to Sealing. Programme 5 minutes if you have v3 of the DUO (i.e. 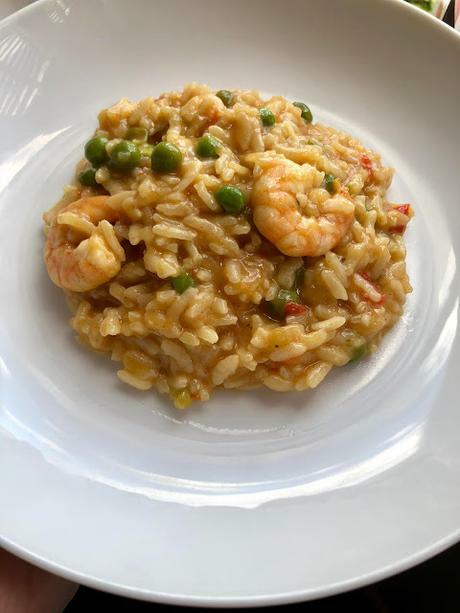 if you bought your Instant Pot from May 2018) and 7 minutes if you have an older model (you might prefer 6 minutes, don't forget risotto rice is meant to have a bit of bite). Do a quick pressure release (QPR) at the end, if you're unsure what that means watch this video. 5. 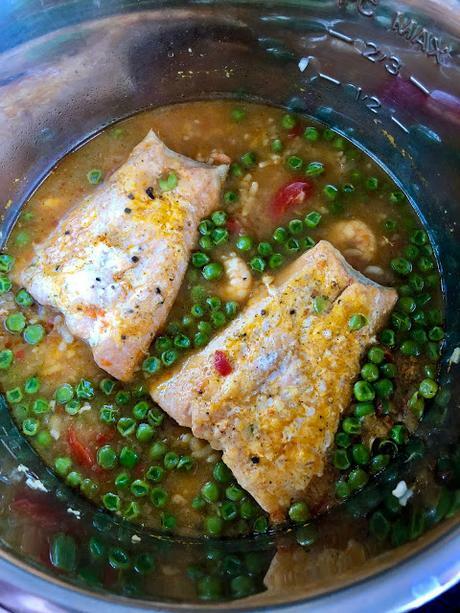 Remove the trout fillets, you can serve them whole or flaked, up to you. Stir the butter vigorously into the risotto, together with sea salt and black pepper to taste. Serve with the lemon wedges. I like fresh coriander stirred through mine. Important: No parmesan cheese in a seafood risotto! Instant Pot Whole Butternut Squash - Make Peeling Easier!